Patina is a gorgeous antiqued gold--it has a tan brown base with bits of pink and gold and green. It's more complex than you'd think, though very beautiful. It's not frosty in the slightest, but has a nice bit of shimmer that subtlety reflects on the eye. It's soooo versatile...you can wear it all over the lid, in the crease, on the lower lashline...you can pair it with olive greens, dark greens, purples, pinks, browns...the list could go on and on, I can't even imagine a pairing that wouldn't work. Mac Woodwinked is a very pretty gold, but unless you have more tanned skin, it can pull very orange, and not in a good way. Many people compare Patina to Woodwinked, but I don't think they're anything alike. I definitely prefer Patina since it doesn't have the orange undertone--it makes it way more wearable in my opinion. Mac Tempting is much more brown and bronzey. Patina has a bit more grey to it. Mac Soba is probably the most similar--if you take away the greys, greens, and pinks undertones that make Patina a unique gold, you miiiight end up with Mac Soba. It's a much clearer light brown/gold. They're still very different from each other as Patina is much more cool toned. 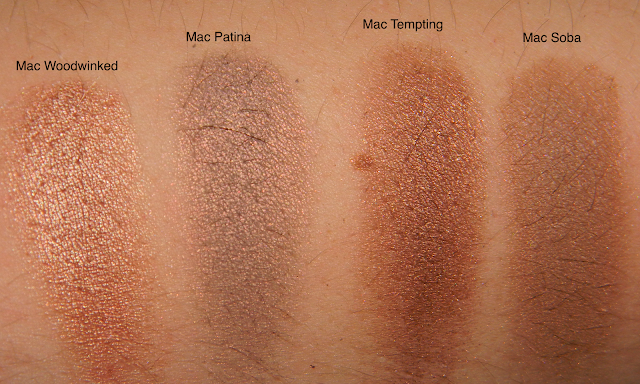 If you are a lover of neutral eyeshadows, Mac Patina is definitely one you should consider having in your collection. It's soo beautiful and can be paired with any color! It's much more unique than your typical brown or gold eyeshadow. How would you wear Mac Patina?? Is this a color you're interested in? Patina is one of my favorites! It looks stunning! Great post! I have been wanting Patina forever. 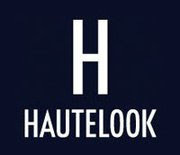 I agree, it is so versatile and works for anyone because it has both warm and cool colors going on in it! i need to head to mac now! i always hear about how there shades of shadows do not match anyone else's when it comes to pigment, & dimension. thanx so much for the swatches! i love a review that does that so we can get a feel. i am having a giveaway so if you love bath & body works and elf I would love it if you came to check it out! anybody else that stumbles upon my comment too! Thanks for this post. I always looked over Patina, but now I definitely have to go check it out. I must get this color in my collection!! I loved this so much I've used up an entire pan!